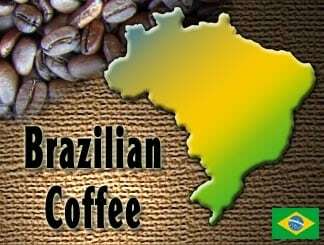 Brazil, El Salvador, Sumatra, and India coffee beans have some of the lowest natural acidic levels of all regions. This of course is a broad generalization but for the casual coffee drinker who needs or prefers a lower acidic level in their coffee a good place to start is within these regions. Coffee is naturally acidic. This natural acidity gives a cup of morning Joe its distinct, tangy, bittersweet and sharp after taste. According to Coffee Research, Kenyan coffee is known for highly acidic coffee, but highly favored by coffee aficionados. Coffee acidity can be measured in three different ways, depending on the drinker or the process. One, for coffee enthusiasts, coffee acidity is a measure of “coffee class”. High-grown, high quality coffee are often high in acidity level and this natural characteristic sets it apart from low-ground, common coffee. Three, depending on the effect of coffee to the drinker, acidity in coffee can result to some feeling a burning sensation in their stomach, an unpleasant after taste or tooth decay. The issue of coffee acidity has reached the attention of coffee roasters and producers. As a result, there has been a conscious effort from coffee producers around the world to provide coffee lovers with more option to get low acid coffee. According to Coffee Review, coffee companies have instituted quick methods to reduce acidity in coffee in order to mass produce low acid coffee: very slow or interrupted roasting or removing the waxy outer layer through steaming. Both processes reduce the acidity but also decreases the famed coffee aromatics. With its nice tropical climate, vast lowlands and rich soil content, coffee beans from this region exude just the right balance of coffee acidity. Instead of that tart aftertaste, coffee from this part of the world is known for its fruity note and hint of cocoa. Coffee from Guatemala has a distinct apple-like acidity while Mexico coffee leaves a cherry-like tartness. Represented mainly by Brazil, Colombia and Peru, these South American countries lead the world’s biggest coffee productions. Like its Central American neighbors, the region enjoys a warm and cool climate and a fertile soil that also sustains production of nuts, cocoa, and spices. These characteristics contribute to its coffee’s sweet and nutty undertones. Sumatran coffee originates from Southeast Asian region, particularly in Indonesia. This coffee has a deep, earthy taste due to its dark roasting process. It has a savory aroma and a cocoa undertone. Ethiopia producers have two ways of processing coffee beans: natural and washed. Natural process happens when the cherry is dried around the coffee bean before being removed; washed coffee happens when the fruit gets stripped within 12 hours of picking. Washed coffee gives a lighter, floral, and tea-like texture. It has less acidity compared to natural processed Ethiopian coffee. While coffee origin is not a perfect gauge to ensure low acid coffee, there are ways to minimize coffee acidity. As coffee roast becomes darker, the acidity decreases. Exposure to heat reduces the amount of acidity but it also reduces the aroma inherent to great tasting coffee. Arabica has a milder and sweeter undertone than robusta. In effect, it gives and milder, less acidic after taste. Slow steeped, cold brew coffee yields a low acid coffee. But this may not always be a practical option if you love your coffee hot or you want to make a quick cup of Joe in the morning. Is coffee acidity bad for the health? According to research, the acid present in coffee is a combination of almost 34 natural acids also found in oranges, apple and vinegar. Due to the presence of antioxidants, minerals and vitamins, coffee bean is inherently acidic. However, each of us has a different body reaction to the natural acids when we drink coffee. Some people feel discomfort. Others experience a burning sensation similar to heartburn and acid reflux. Some people with weakened or thinning tooth enamel tend to develop tooth decay when drinking coffee. While these issues occur, it is not a direct correlation to coffee. Coffee does not cause or result to acid reflux or tooth decay. People with existing conditions often have a negative body reaction to coffee. The flavor winners by far among the advertised low-acid coffees were the Simpatico Nice Coffee samples, both of which were relatively low in acidity as measured by pH and pleasantly free of green coffee taint. The Simpatico Espresso Roast is reviewed here at 87; the mixed-roast Black &Tan Blend came off the table at 86. Other brands to try are: Tyler’s Acid Free Coffee Regular, Hevla, Puroast House Blend, Healthwise and Volcanica Gourmet Low Acid. Casual observance of the roasting process proves that one of the best ways to lower the acidic level of any coffee – regardless of region or natural acidity – is to roast the beans darker. Dark roasts are quite popular and making coffee with them is a great way to ensure you are getting lower acidity. Even still sometimes you want a lighter roast and sticking to the aforementioned regions can help. If you are looking for the lowest acidity levels possible in your coffee then definitely stick to the regions mentioned above and err to the side of the dark french or Italian roasts. The darker (in general) the higher the pH levels and the more palatable the coffee will be to your stomach. Sure, you could go for a branded low-acid coffee but you will get better results sticking with naturally low acidic levels in the beans. Overall Brazilian and El Salvadorian coffees are probably the lowest on the acidity chart if sorted by region. If you can find beans that were grown at lower altitudes then all the better, higher altitudes tend to coincide with higher levels of acidity. Of these two Brazilian coffees that come from estate growers tend to be complex enough to be be perfect candidates for Italian espresso or for blends. They are low in acidity and provide good body to round out one’s cup. Even still not all coffees from these low acid profile regions will be low in acidity so you still have to pick and choose and find a bean that is best for you. As always, a good coffee house should be able to point you in the right direction. You don’t have to become the next cupper in the world but trying a few Brazilian coffees at home over a week or two should help you identify a good low acid coffee from a region known for being “stomach friendly”. Using the tongue method may work for you just fine or you can use this as an opportunity to pick up a super cheap and handy pH meter. If you are on a low acid diet a meter may be handy for lots of other foods too. Generally speaking if you choose a coffee from a region like Brazil or El Salvador and choose a bean that came from lower elevation and roasted quite dark then you are most likely going to be drinking some of the lowest acid coffee possible. These will obviously be some exceptions to this but it’s a good sheet sheet or rule of thumb to follow.